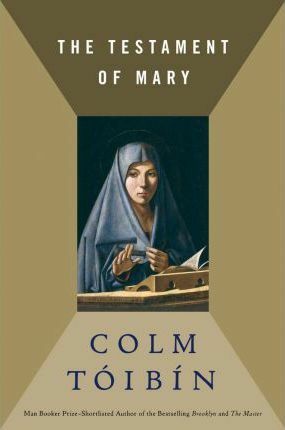 Shortlisted for the 2013 Man Booker Prize, Colm Tóibín's provocative, haunting, and indelible portrait of Mary presents her as a solitary older woman still seeking to understand the events that become the narrative of the New Testament and the foundation of Christianity. In the ancient town of Ephesus, Mary lives alone, years after her son's crucifixion. She has no interest in collaborating with the authors of the Gospel--her keepers, who provide her with food and shelter and visit her regularly. She does not agree that her son is the Son of God; nor that his death was "worth it;" nor that the "group of misfits he gathered around him, men who could not look a woman in the eye," were holy disciples. Mary judges herself ruthlessly (she did not stay at the foot of the Cross until her son died--she fled, to save herself), and is equally harsh on her judgement of others. This woman who we know from centuries of paintings and scripture as the docile, loving, silent, long-suffering, obedient, worshipful mother of Christ becomes a tragic heroine with the relentless eloquence of Electra or Medea or Antigone. Tóibín's tour de force of imagination and language is a portrait so vivid and convincing that our image of Mary will be forever transformed. "[A] monumental achievement...equally powerful and poignant whether it's read by one who espouses or eschews the New Testament...A tender, soul-rending exploration of a mother's mourning; a searing, stunning work." --Leyla Sanai "The Independent (UK) "